Whether organizing a large conference, a small meeting, or one-on-one get together, as Durango, Colorado’s premier historic hotel, The Strater Hotel can help host an unforgettable event. 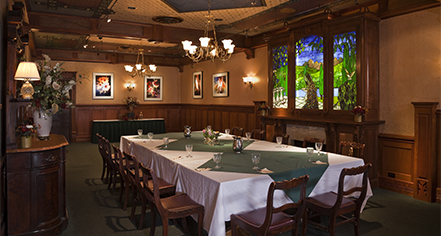 Enjoy a memorable event for up to 230 people while being surrounded by Victorian décor, pleasant light, comfortable furnishings, unique art collections, and easy access to restrooms, restaurants, and downtown Durango. 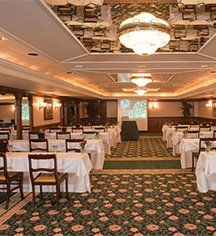 The historic hotel features five versatile banquet and meeting spaces located within close proximity of each other inside the hotel. The comfortable spaces offer high-tech amenities including: wireless high-speed Internet, audiovisual equipment, and technical support. The friendly staff is always available to help with copies, printing, scanning, and faxing. From special event banquets to morning board meetings, the innovative Strater Catering & Events team is able to create a special menu for every event. The team also offers prepared menus to help make planning easier. The award-winning team will assist in planning every element of your special event. The Strater Hotel has a very experienced staff that is versed in working with small to large event planning and will ensure that every detail is absolutely perfect to make the experience memorable.